Quality built “Mosaic” by Bosa in the heart of Brentwood. Spacious 1,057 sqft. 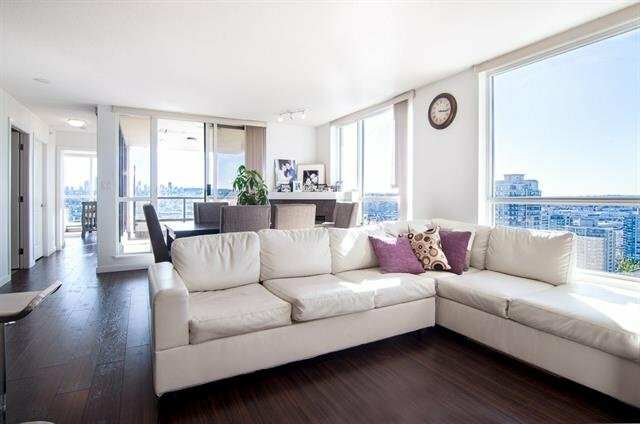 2 Bed 2 Full Bath southwest CORNER unit brings tons of natural light. Great features including gas fireplace, floor to ceiling windows, and a gourmet kitchen w/ large island & granite countertops. Did I mention the view? Enjoy unobstructed PANORAMIC VIEWS of Mt. Baker to North Shore Mountains from comfort of your living room or BBQing on patio. Centrally located; a brisk walk away to Brentwood Mall, Skytrain, Whole Foods/Save-on Food and many trendy restaurants. Easy access to Highway 1 and 20 minute drive to downtown. BONUS: 2 side-by-side parking and 1 storage.